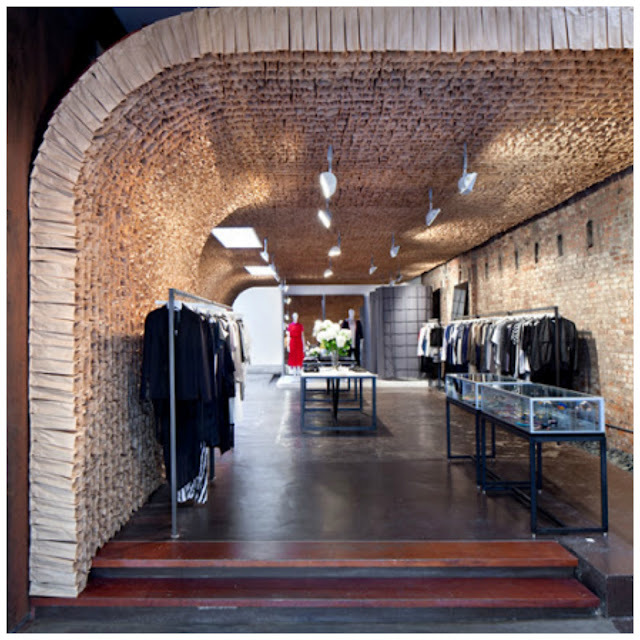 My architecture fave of the week is the unique 'OWEN' boutique store in the Meatpacking district of N.Y.C. by Tacklebox architecture. Gotta go, gotta go! This interior retail space has an artistic sensibility showcasing a fusion of emerging designer clothes. Tacklebox nodded to its spaces industrial roots, once being housed in a meat storage facility, auto storage and a floral shop. The firm thoughtfully juxtaposed industrial materials with the handmade in its 1,800 square foot space ....concrete floors, exposed brick walls with beautiful crafted injections. The wow factor is its hand-built wall that defines the space arching from floor to ceiling. 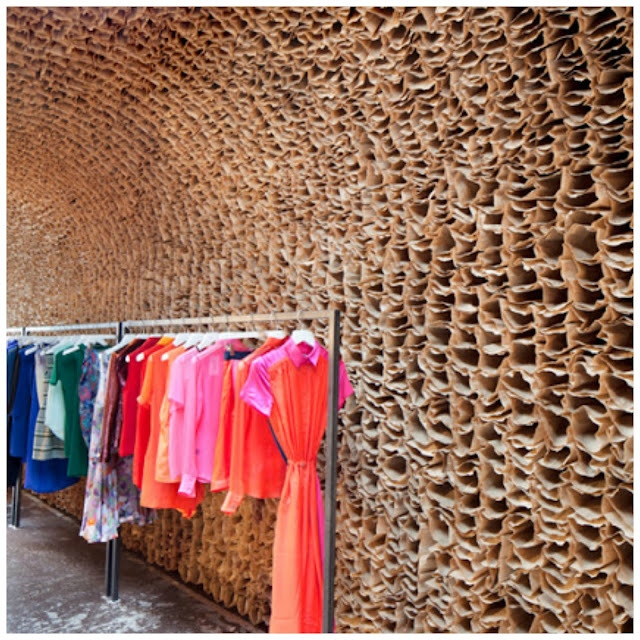 Look closely...its constructed of 25,000 flame retardant paper bags, creating a beautiful geometric honey-comb like pattern and structure. Can you imagine how many hours it took to staple each bag? All the merchandise rests on industrial like materials in contrast to the paper sculptural volume. Clothes sit on quartz slab tables, and hang from blackened steel-hang-bars.